Voted "Best of Citrus Heights"
Bauer's Car Wash is a family owned business since 1997 that treats it's customers like family. Located at 5927 San Juan Ave, Citrus Heights, we strive to offer superior services for your vehicle, and take care of your possession as though it was our own. Making sure our customers are happy is paramount to our business! 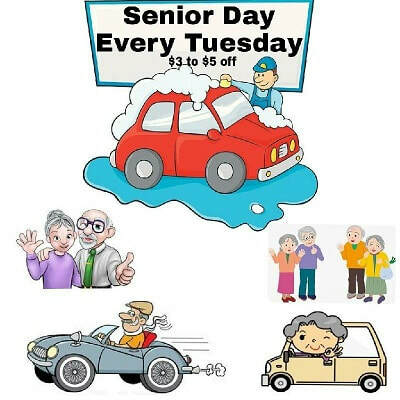 Seniors get $3 to $5 off (depending on purchase) EVERY TUESDAY!